HomeFront Page PostsGiveaway: Win 4 KIDZ BOP Live show tickets! Want to score some major “cool mom” points? We’ve got FOUR FREE seated tickets for the new KIDZ BOP Live 2018 show at the AMP — and you could win them this week — courtesy of our long-time website sponsor, Walton Arts Center. The KIDZ BOP Live 2018 tour will be at the Walmart AMP on Sunday, July 22, 2018. Gates open at 3 pm, and the show starts at 4 pm. Following the success of last year’s “Best Time Ever” tour which sold out multiple shows across the country, KIDZ BOP, the #1 kids’ music brand, and Live Nation have announced the launch of the all-new North American Tour. KIDZ BOP’s latest album in the best-selling music series, KIDZ BOP 37, releases on January 19, 2018. KIDZ BOP Live 2018 is the ultimate family concert experience, “sung by kids for kids.” The KIDZ BOP Kids — Billboard Magazine’s #1 Kids’ Artist for eight consecutive years (2010–2017) — will headline the new show, performing some of today’s biggest hit songs. Four KIDZ BOP Kids will take the stage for each concert, which will include innovative stage design, special effects, fan interaction and even a parent lip-sync battle to 90s hits. Just in time for the new tour, three new talented young performers – Olivia (age 11), Shane (age 13), and Indigo (age 11) – are joining the existing group of KIDZ BOP Kids: Ahnya (age 13), Cooper (age 14), Freddy (age 13), Isaiah (age 11) and Julianna (age 13). Then write a quick comment telling us who would LOVE to go to this concert with you! 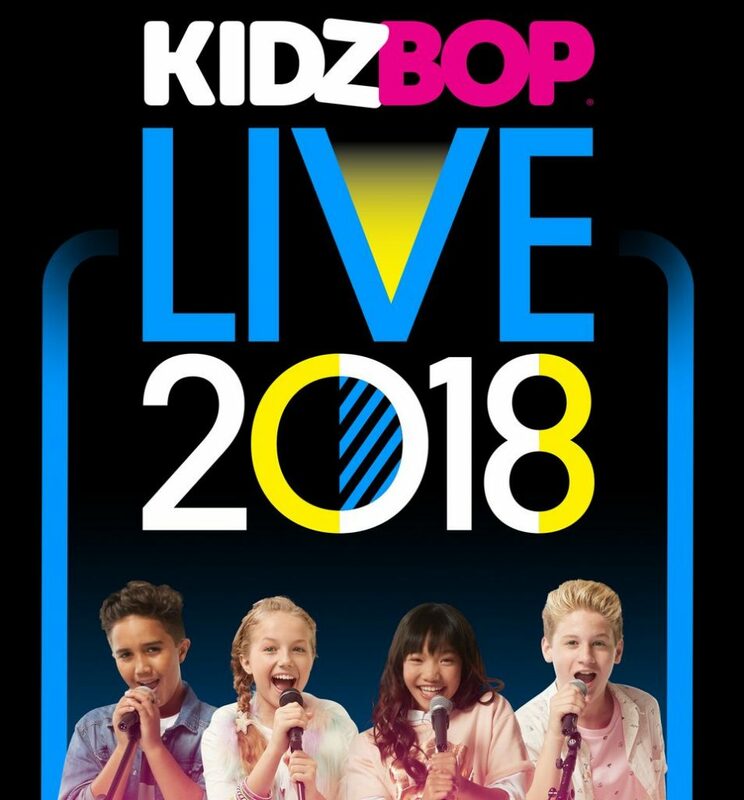 Ticket prices for KIDZ BOP Live range from $25 to $49.50 plus applicable fees. Purchase four lawn tickets at the same time to take advantage of the “LAWN 4-PACK” with a discounted ticket price of $18.75 each. 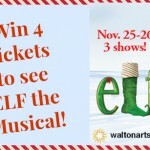 Tickets can be purchased in person at the Walton Arts Center Box Office in Fayetteville, by calling 479.443.5600 or by visiting www.amptickets.com. This would be an AWESOME summer memory maker for my girls!!! They would LOOOOVVVVEEEE it! All three of my kids would love to go see them!! My 6 yr old daughter would be totally psyched to go to this show. This would be her first concert and I know she would absolutely LOVE it!!! Would love to take my 9y/o daughter to this. She loves them!! My kids are Kidz Bop crazy right now!! They would love to go!! My 5 year old would love to go to this concert! 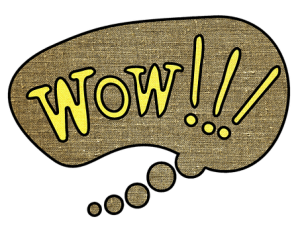 We follow on fb, twitter, instagram, NWA Boutique show, WHEREVER YOU ARE, we’re there! I think my toddler would LOVE this, but I’ve been hesitant to buy tickets. We would LOVE to go. She adored the 4th of July concert in our hometown. I’m having Camp Deedee (grandma camp) that week. I’d love to take my grandkids. My daughter would love to go. My son and daughter would love this, and I would love to take them! Mom of 3 boys! My oldest sings along to almost every song on the radio! He would love this!! Please pick Emma and I! My little girl and her two best buddies would love to go with me for my daughter’s 8th birthday celebration! I would LOVE to win and take my kids. My children are obsessed with music and would love to see this show! We have two granddaughters who wild love for us to take them!! It would be a fun time for all f us!! This would be a perfect summer treat for our family! My boys love to sing and dance and would so love this concert!!!!! I would love to take my soon to be adopted kids! They love to sing and dance to all kidz bop songs. My 10 year old son would love this! He always has a song in his heart, and brightens up any room when he dances! My daughter would absolutely love going! She has been begging me to take her for months!! This would be the perfect first concert for her and her friends. This will be such an awesome concert!!! My kids are obsessed with kidz bop! My child is so obsessed with Kidz Bop…it would be awesome to win!! My Sophie would be so happy if we win. I would love to take my little sister who has Down Syndrome, she LOVES Kidz Bop, and my two oldest kids. I would love to take my twins as we missed it last year. They follow Kids Bop religiously. My 7 year old twins and 9 year old would love to go to their first ever concert! 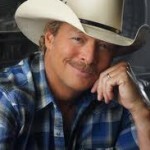 My daughter absolutely love to goto this concert and be able to take a friend with her. I would love to take my 3 kids and spend the night singing & dancing. I hAve 3 kids who would love it! My niece and nephews would love to go sing their hearts out! My girls would love love love to go!! There would be so much joy in there face the smiles would be ear to ear!!! I also followed on Pinterest and Facebook! My girls would have the time of their lives. I’d love to take my sweet daughter and her buddies! She is a budding performer at home with her princess microphone. Couldn’t be any cuter!!! My daughter has never been to a concert. I know that she would love to go and take her friends who are twins. She loves to sing and is in 2 choirs. My daughter would love to go to this! I’d take my daughter and her best friend plus her mom because I need adult company too. Oh all 3 of my kids would love that! So fun! My special blessings would love this. This Nana would be a major hit for sure. I’d take my two kiddos and my mom. It would be a fun family day!! I would like to take my two boys and I think they would totally love it. I would like to take my two boys. Awesome fun family time. My daughter would love to go and take a friend!!! I would take my daughter and some of her friends. My daughter wants to go sooooo bad for her 7th birthday. I would love to take her and 3 of her friends to celebrate her. Summer birthdays are hard so this would be a memory that would last forever. My two daughters would love to see this show! All we ever listen to is Kidz Bop! I wake them up in the mornings with Kidz Bop and it is on permanently in the car! We love it!! If I win, I’m taking Dara, Stella, and Ava – three girls who love to dance! Josie, Sarah & Anna ! I would love to take my granddaughter and great nephews! 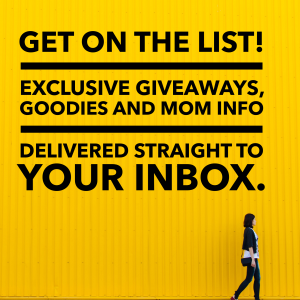 I will be out of town so put my home email addy on comment. I am going to take my son and his friends who cannot afford to watch this kind of show/event. My 6-year-old daughter would love to go to this concert! My kids would love to see Kidz Bop! That is all we listen to right now! My 6 year old son just started enjoying “dancing” to music. He would love this! All three of my girls would absolutely love to go to this concert! I would love to take my seven year old son to this for his first concert experience. He is constantly listening to the Kidz Bop CDs and has mentioned on multiple occasions that he would love to be one of he Kidz Bop singers. This would make his summer! I would love to bring my almost 5 year old (July 19th!!) and his cousin who LOVES Kids Bop!!! I would love to take my two girls! My two boys who LOVE music! My boys (10 and 6) are huge kidz bop fans!!!! We would take the whole fam! My husband and I know all the words anyway!!!! I would take my daughter. It is all she wants to listen to, and would be her first concert! My daughter and son have never been to a concert before, outside of school and church plays. This would be something new for them. It would be a fun event for our family. My kiddos LOVE Kidz Bop!We are huge fans! It would be such a blessing to win! I have also commented on Facebook but could not find where to comment on Instagram. Nevertheless less I do follow you there. This would be a great first concert experience for my kids! My boys would absolutely love to go to this concert!!! We love KIDZ BOP at our house!! My daughter would have an absolute blast. She sings to Kidz Bop all the time. My son and daughter would love to go! They both love music and can dance all day long! We went last year and had a blast! Would love to go again this year since it’s all we listen to on the radio! My 9 year old daughter would love to go! She said it would be a perfect family night out. Commented on Facebook and following on Pinterest. I would LOVE to win Kidz Bop tickets! I commented and liked on your Facebook page, followed y’all on twitter, and Pinterest. 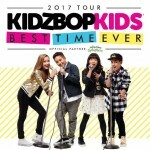 My 7-year-old daughter and 5-year-old son are dying to go see Kidz Bop! You would make us so happy to win!!! Thanks! My three children Madison age 9, Mike 5, and Max age 4,( loves to sing). This would be a blast for us! I would take my 8 yr old daughter and her best friends!! They’re huge kidz bop fans and it would be an exciting first concert! this would be an awesome first concert to take my 2 little girls to. It would bring so much joy to my husband and my face watching our girls sing and dance the night away. Not to mention, it would be an amazing night for my girls. I would love to take my youngest kids to this show! They would so love to sing and dance along! I would love to take my 3 kids! I would love to take my sweet grandkids to this! They love Kids Bop! Wonderful entertainment & great memories for us! My little wanna be pop star would love to go! My 5 & 8 year olds listen on Sirius XM everyday! They’d love to go. Not sure why didn’t post my whole comment?! But I know how much my kids would love this! My friends went last year and had a blast. I won’t be mad if you pick me! I know my granddaughters would love to go to this show!! 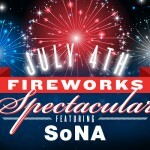 My 7 year old daughter and my husband would love to love to go to this with me!! We sing Kidz Bop in the car all the time! I would love to take my 5 year old daughter. She loves to dance and sing to Kidz Bop. My 2 daughters 5 and 9! They love KidzBop. My husband and I would love to take them!